Help us prototype Jeff and Paige science and music activities. Open Space Nature Play Date at Bobolink Trailhead! The mission of the Boulder Family Nature Club is to support families in frequently enjoying the outdoors, and ultimately to foster a deep, lifelong connection to, and responsibility for, the natural world. 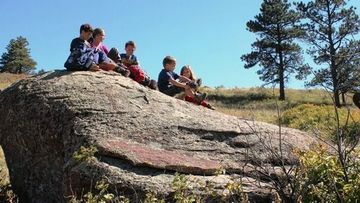 This "family nature club" helps families get nature back on their calendars with a variety of opportunities each month in and around the Boulder area. Any member of Boulder Family Nature Club can become an event organizer and schedule a hike or a meeting. So, if you have a particular place you would like to go or something you would like to do, please contact me and I will change your member setting.